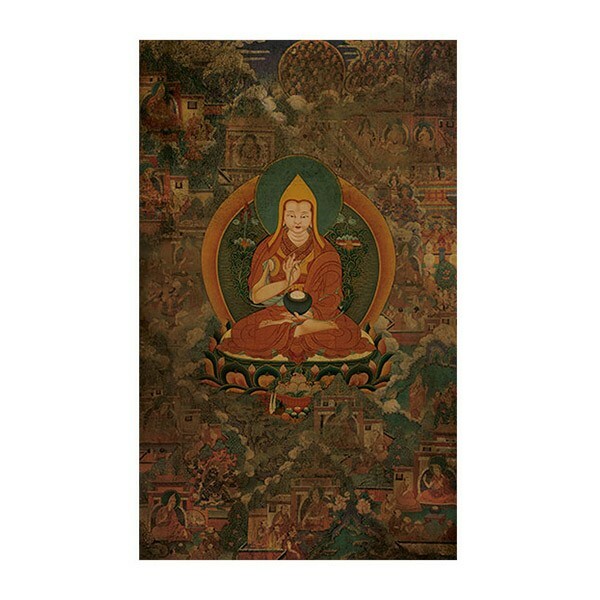 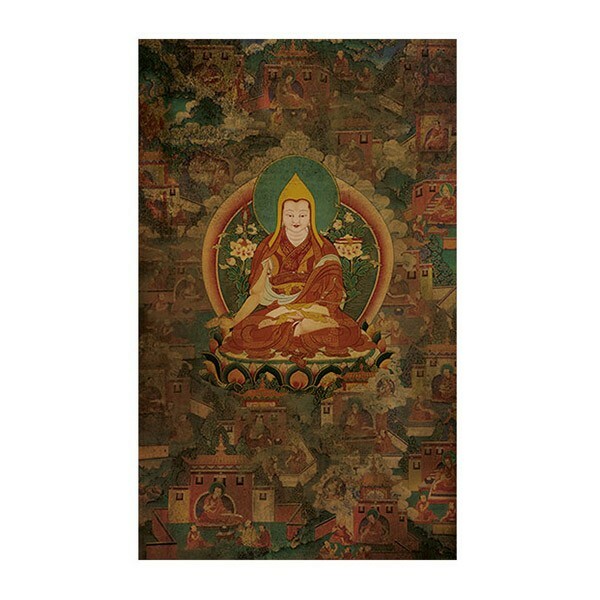 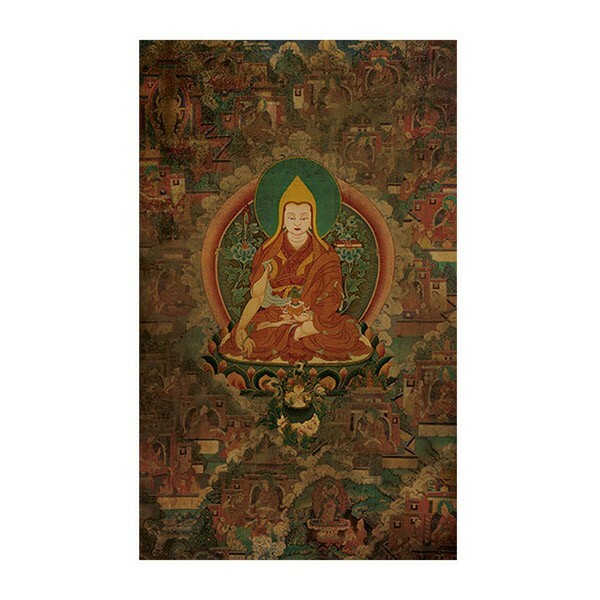 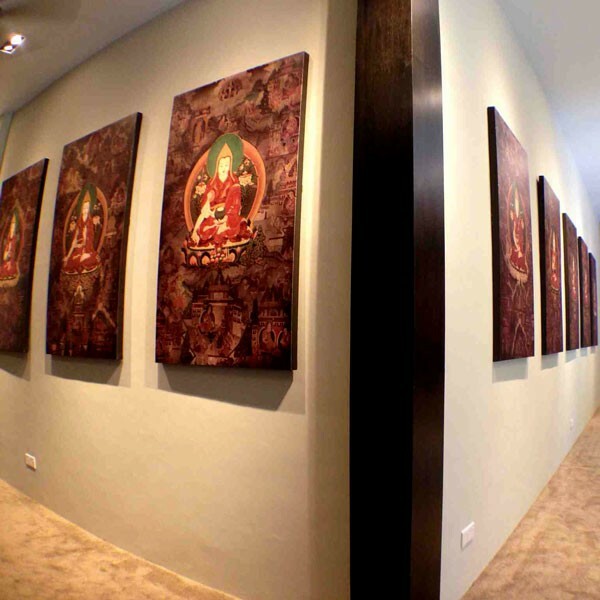 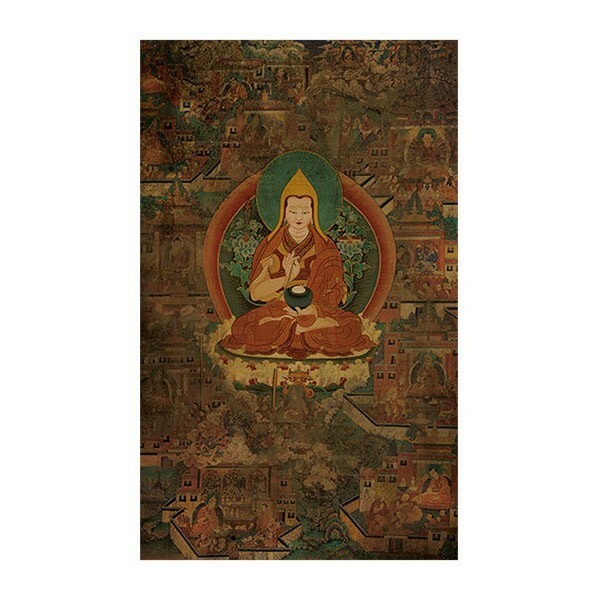 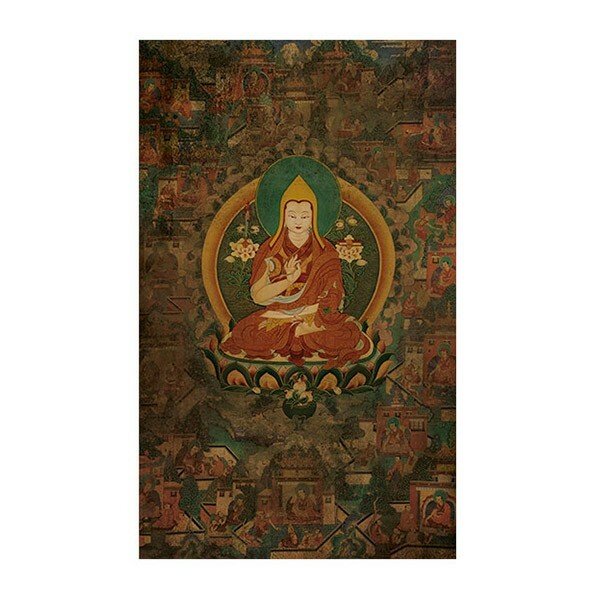 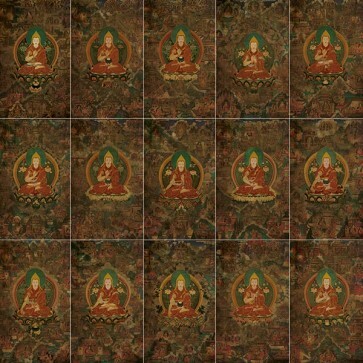 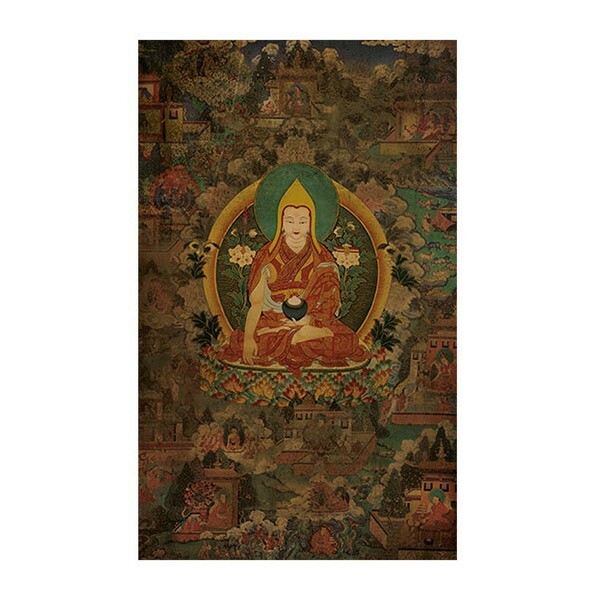 A set of 15 printed canvas thangkas depicting the life story of Lama Tsongkhapa. The key moments in the life of this 15th century Tibetan saint and scholar are accurately chronicled in full detail within these traditional paintings. 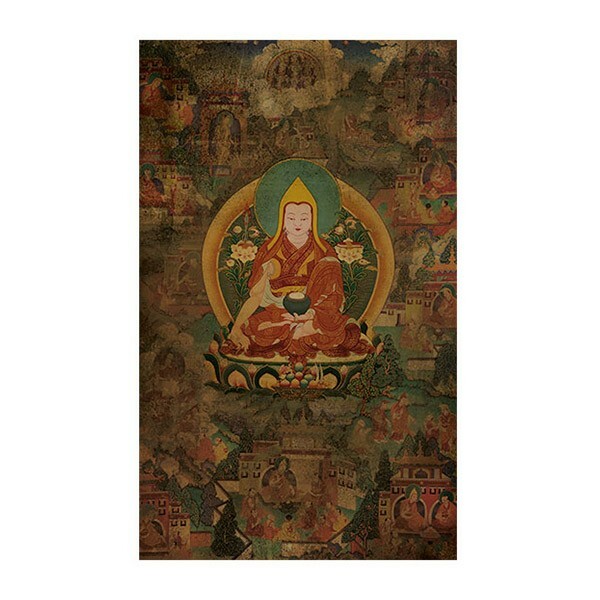 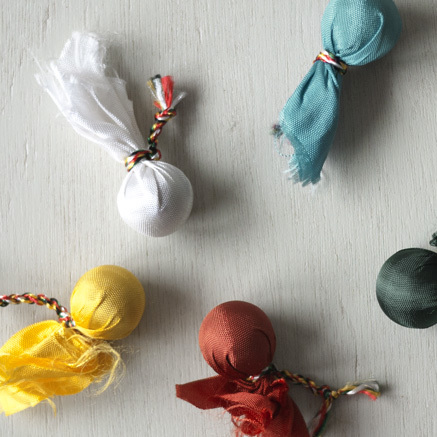 Typically displayed in the grand halls of monasteries and Tibetan households, this thangka set will bring Tsongkhapa's blessings and protection into your home. This set of 15 printed canvas thangkas illustrate how, throughout his previous lives, the Noble Je Tsongkhapa cultivated the Path leading to Enlightenment and how his spiritual progression was attested by prophecies of all the Buddhas of the past. Typically displayed in the grand halls of monasteries and Tibetan households, this thangka set will bring Tsongkhapa's blessings and protection into your home. 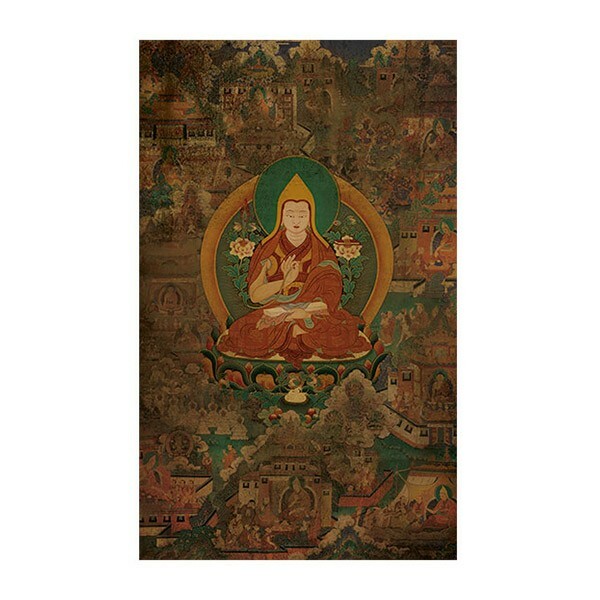 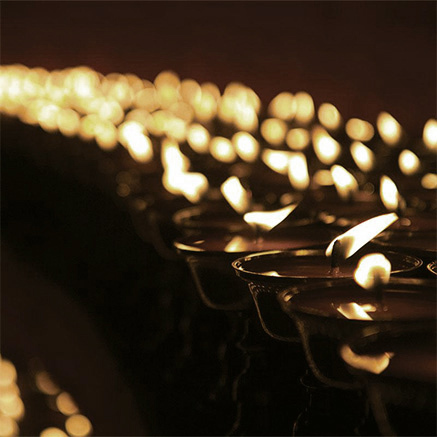 An emanation of the Buddhas of wisdom (Manjushri), compassion (Chenrezig) and skilful means (Vajrapani), Lama Tsongkhapa is revered as the single greatest Tibetan commentator, scholar and yogi in the history of Buddhism. Hailed as the "Second Buddha", he was a great enlightened being who founded the Gelug tradition. Thangka 5: The start of Lama Tsongkhapa's activities in teachings, retreats and debates. 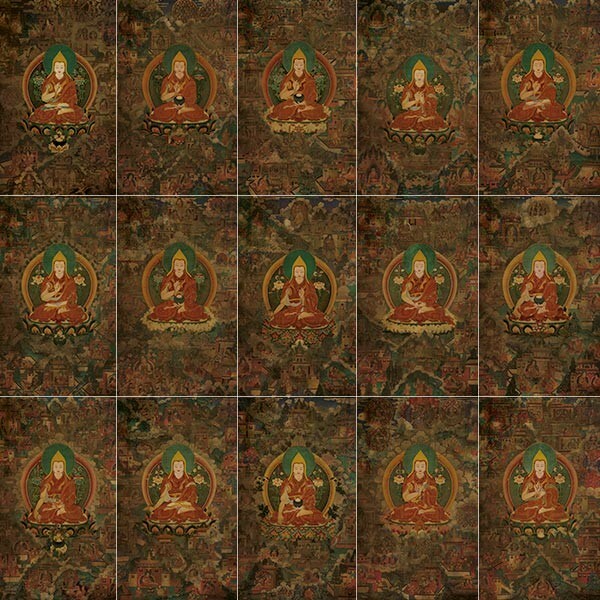 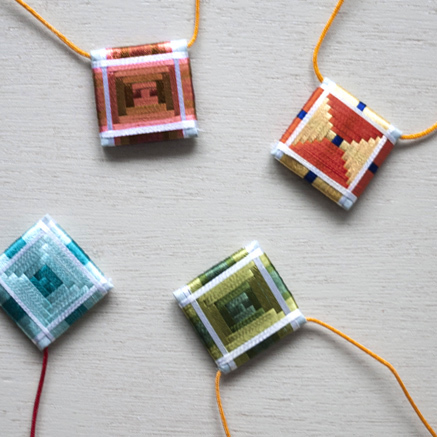 A detailed description of each thangka in this set is available upon request. 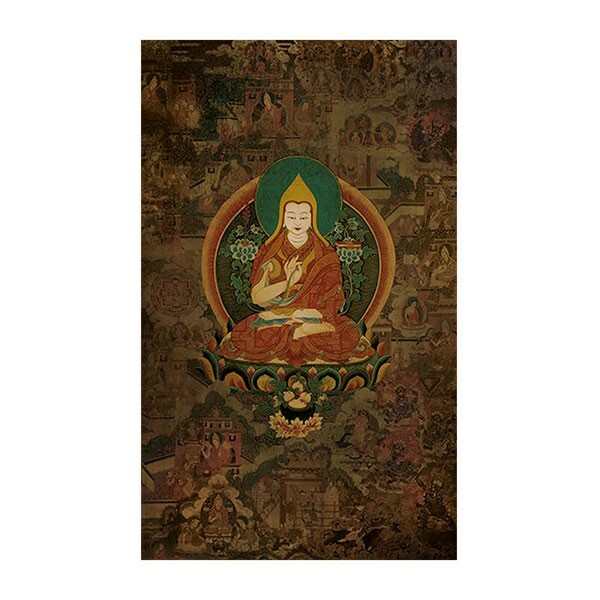 You're reviewing: Lama Tsongkhapa Life Story Thangkas (set of 15) 24" x 36"